After spending 28 years with the Hayward Police Department Sheryl Boykins joined the California State University East Bay Police Department as its Chief in April 2013. In that capacity, she has begun building relationships with the campus community and is encouraging the department to go out and meet students, faculty, and staff on a more personal level. One of her most notable local contributions was negotiating for Junior Giants, a kids training opportunity sponsored by the San Francisco Giants baseball team. This event, now in its fifteenth year, is an annual summer camp for girls and boys of the area to learn the basics of baseball playing and to acquire the personal skills necessary to team play. Chief Boykins earned an associate of arts degree in administration of justice from Chabot College and a master’s degree in adult education from the University of Phoenix. A Fairview District resident for over 30 years, Marita Cheng is co-founder of the Hayward- Yixing Sister City Committee and Asian Business Alliance. She is a member of the Asian Pacific Islander American Public Affairs Association, Hayward Chamber of Commerce, and Hayward Rotary. She is the highly successful owner of two businesses, Caesar’s Chicken and Elite Catering, and is the food service operator at SkyWest Golf Course and Mission Hills Golf Course in Hayward. Marita gives back to the community by volunteering her time and services to local non-profit organizations. The Honorable Pat D. Gacoscos is a Union City Council Member. Previously, she held two other elective positions: Trustee for the New Haven Unified School District (1992- 2000) and Director of the Union Sanitary District (2004-2010). She also served on the Human Relations Commissions for the County of Alameda and for Union City. Council Member Gacoscos chairs the Union City Sister Cities program and is an active member of various community organizations. In 2011 she was named one of the 100 Most Influential Filipino Women in United States. She taught in Manila public schools and was a research analyst for the California Department of Public Health. She is retired and happily at work in her new role of grandmother. Longtime San Lorenzo resident Dr. Hal Gin brings more than 40 years of higher education leadership and administrative experience including over 30 years service as an administrator with California State University East Bay. Since retirement in 2005, he has been a trustee with the Chabot-Las Positas Community College District. Dr. Gin’s community service includes active membership in West County Board of Zoning Adjustments, Lions Clubs International, Asian Pacific Islander American Public Affairs, Asian Business Alliance, Wa Sung Community Service Club. He is also involved in leadership positions with his own family association, the Gin Sun Hall Benevolent Association, Hoy-Sun Ning Yung, and Chinese Consolidated Benevolent Associations. He earned his bachelor’s degree in sociology/social services, master’s degree in public administration, and doctorate in organization and leadership. In her forty-year career at Chabot College, Melinda Matsuda held increasingly responsible positions. Personally committed to student access and equity, she culminated her time at the college as Vice President for Student Services, a position she held for 12 years. Melinda grew up in the Hayward, attended local public schools, and went on to earn her bachelor’s and master’s degrees from California State University Hayward, as it was then called. She served as a commissioner for the City of Hayward, and was a board member for numerous community groups including Sun Gallery, SAVE, and Tri-CED Community Recycling. Mark Salinas is a Hayward native. After graduating from Hayward High School, he attended Chabot College, and transfer red to San Francisco State University, where he earned a bachelor’s degree in La Raza studies, as well as a master’s degree in educational administration and public policy. Mark works for California State University East Bay as the Community Resident Engagement Specialist for the Hayward Promise Neighborhood initiative. He teaches history and ethnic studies at Chabot, and is Executive Director of The Kids’ Breakfast Club. Mark served on the Hayward City Council from 2010 to 2014. Dr. Susan Sperling is the ninth president of Chabot Community College. 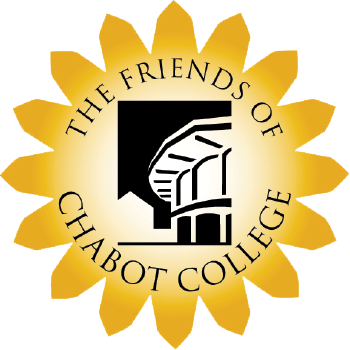 During her nearly 30-year career at Chabot College, she has served in a variety of capacities including faculty member, faculty leader, administrator and community liaison, and as Faculty Association President. Dr. Sperling's practical field is as an anthropologist. She has researched and published widely and presented nationally on topics including animal rights, the history of evolutionary science, and gender and race issues. She is a multiple National Institute of Health and National Endowment for the Humanities research grant awardee, and received the Reed L. Buffington Award for Excellence in Teaching. Dr. Sperling earned her Bachelor of Arts Degree and her Ph.D. in Anthropology from the University of California, Berkeley. Obray Van Buren serves as the Fundraising Chair for the Foundation. He grew up in south Hayward, and attended Tennyson High School and Chabot College, during his youth. When not busy with planning and coordinating the Foundation's highly successful annual fall gala, a must-attend event, which is sold out every year, he serves as the Community Enhancement Officer with the United Association of Union Plumbers, Fitters, Welders, and HVAC, Local 342. He is also a member of the Board of Directors for numerous community groups including Tri-CED Community Recycling, the largest not for profit recycling firm in northern California.